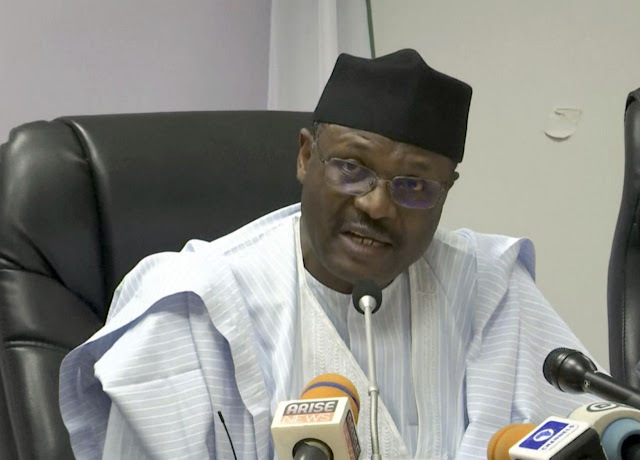 The Independent National Electoral Commission INEC has announced the postponement of the elections in some parts of Lagos, Rivers and Anambra States following disruption of the exercise due to violence. Specifically, INEC said elections in Akuku Toru and Bonny local government areas of Rivers state, as well as some parts of Anambra and Lagos, would be conducted on a later date, saying mostly affected is the contest for the federal legislative seats. “The commission has received reports of violence and ballot box snatching in some areas leading to the disruption of the process. We have asked the Resident Electoral Commissioners RECs and the Electoral Officials on ground to submit their firsthand reports in relation to some of these incidents. We are still receiving reports relating to incidences in some states of the federation but we have received reports relating to incidences in Akuku Toru and Bonny local government areas of Rivers state. So long as the commission could not deploy in these areas, the implication is that voting did not take place in those areas and the commission will hold consultations with the relevant authorities and the Resident Electoral Commissioners RECs in relation to these areas and will announce the date when polls will take place in some of these areas, especially in relation to the areas as they affect the House of Representatives and Senatorial elections. “It is not only in Rivers that we had reports of burning of electoral materials. We have such reports from Anambra and Lagos states as well as some other places”, he added. The commission also vowed to prosecute any of its staff who failed to use the Smart Card Readers for purposes of accreditation, saying where the card readers do not work up till 6pm on Election Day, the standard procedure is to shift the exercise to the next day. According to Okoye, no staff of the commission has discretionary powers on the use or otherwise of the card readers as its usage is not a subject of negotiation. “With regards to the challenges associated with Smart Card Readers in some polling units, most of these challenges were resolved and were resolved on time. However, it is to be noted that in the Regulations and the Guidelines issued by the Independent National Electoral Commission INEC it was made very clear that the use of the smart card readers is mandatory. Therefore, no staff of the Commission or any ad hoc staff of the Commission is permitted in whatever guise to deliberately refuse to use the smart card readers for the conduct of elections. According to the Guidelines and Regulations of the Commission, it is negligent conduct for any ad hoc staff to refuse to use the smart card readers for purposes of accreditation and any of them that refused to use the smart card readers or deliberately violated the use of the smart card readers will be subject to prosecution in accordance with the Guidelines and Regulations of the Commission and the Electoral Act”, he declared.